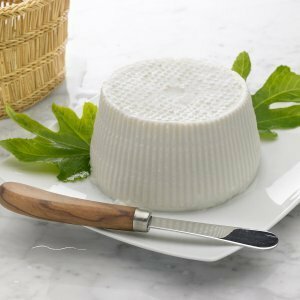 Ricotta cheese is well known as the soft creamy cheese used in dishes such as lasagna, as well as, many desserts. Although ricotta cheese can be frozen there are some factors to keep in mind when doing so. This is a guide about freezing ricotta cheese. Can this cheese be frozen? If not, how long will it keep in refrigerator? I make my own ricotta and freeze it. Freezing changes the texture a bit. It will be grainier and slightly separated. I go ahead and use it in lasagne, but it might not be right for some recipes. You can but the texture will be different, sort of grainy, but it will still be fine for baked items including lasagna. It's recommended not to freeze for longer than six months. I was moving into an apt. once and the maintenance guy was swapping out the fridges. He accidently put a small container of green olives and cottage cheese in the freezer. Imagine my surprise when they thawed and were just as good as when they went in. I have also frozen sliced onion, toms, and green peppers for two years and they made my spaghetti just fine. I googled "foods I can freeze" and got a whole bunch of cool links. This question comes up again and again. Companies that manufacture ricotta seem to only sell it in one size, large, and we almost always have a lot of it left over. Since it's really rather expensive, it hurts to waste it. It can be frozen, but, as mentioned, the texture does suffer because of it. What I'd like to see is ricotta packaged in smaller amounts so we don't have to deal with this problem. I cannot understand why a smaller container is not available. I stopped buying and using ricotta long ago and substitute cottage cheese in almost every recipe. I simply got sick of the expense and the waste. I also started making my own ricotta when I really need some. It costs about the same to make as to buy, but tastes 1,000 times better and much fresher! Maybe we should send emails to these companies and ask them to start selling their product in smaller containers. After all, we're the customers and this is what we want. Why not ask? If we speak up they will listen. I think sizes of container vary by location. I've always lived in very Italian areas and have always been able to get two sizes: Large 8 servings per container and larger which might be 32 servings, but I'm not sure. Oops, didn't complete my thought: It might be the stores you shop at that you need to communicate to that you want the 8 serving size. Walmart in Arlington, TX and Denver, CO sell smaller sizes of ricotta in store brand! I bought ricotta cheese when I bought it it had a month till it expires. I froze it; so how much time do I have when I take it out of the freezer? Today I saw agreat deal at the store. Very good quality ricotta cheese on sale at 99 cents for a 16oz container. The best before date is in two days. I froze 8, kept 4 in the fridge. You must know it is cheese, not meat, you will NOT get sick. The ricotta I keep in the fridge will be just a good if eaten within the next month. If you take one out of the freezer, it will easily last a week, probably more. Thaw it as you need for your recipe. Note that the texture will not be as smooth when defrosted. No big deal for a pasta recipe but might bother you if you eat is straight out of the container. I would not defrost until you need it. This link gives good info on freezing. Since it gets a little wonky when you defrost the ricotta, I actually prefer to cook up the stuffed shells or lasagna using the ricotta, portion into meal sizes, freeze in secure containers, and then defrost and heat. To me it keeps every element intact. Just my preference. Frozen cheese is good for a few months, but the texture of ricotta will change. It is not a cheese that freezes well.